Linkin Park's Mike Shinoda took to Instagram to reveal the special tribute car the band and Mercedes-AMG created to honor Chester Bennington. Check out the Bennington-inspired car below. Mercedes-AMG paid tribute to the late Linkin Park vocalist by creating a car with a flame decal similar to that of Bennington's flame tattoo. The car made it's debut at the Petit Le Mans in Braselton, Georgia while Shinoda and Hahn shared the special car with fans on their Instagrams. 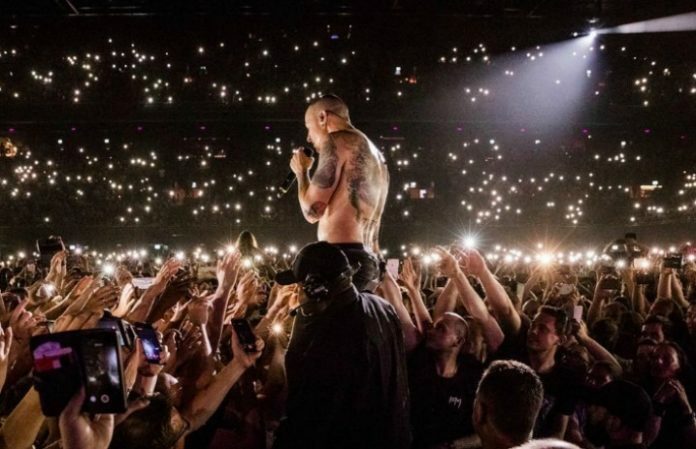 Linkin Park have a history of being brand ambassadors with the automotive company. Earlier in the year, Bennington himself had purchased a Mercedes-AMG GT-S sports coupea few months before his passing. What do you think of this Chester Bennington tribute car? Let us know in the comments below.